Vanitas dates back to the middle ages in European art and is still “alive” today in Mexican Day of the Dead celebrations. Central to this theme is the human skull. Images also include flowers and insects that symbolize the fleeting aspect of life. The mirror is a symbol of reflection on mortality and the “vanity” of youth and beauty, which fade. 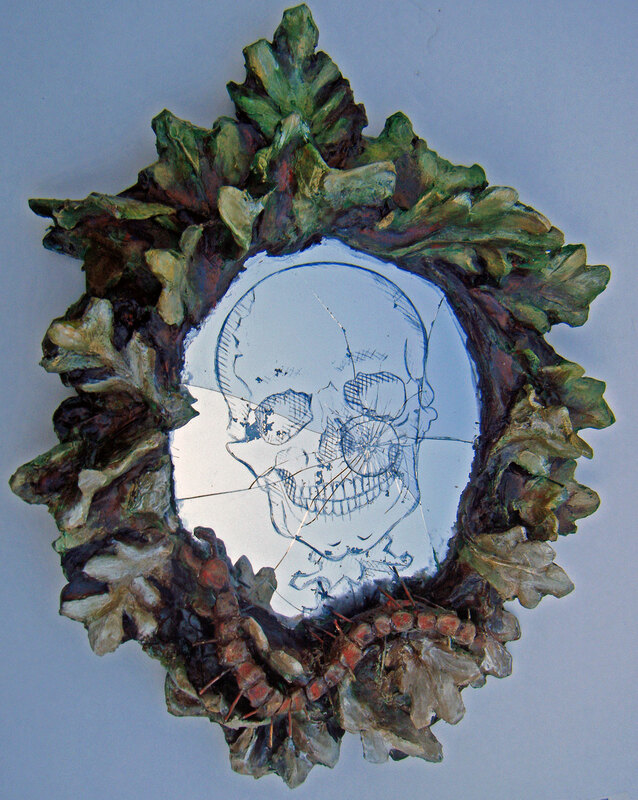 The broken mirror engraved with a skull is embedded in a wreath of oak leaf litter that fades from green to beige. Its decomposition is aided by a centipede. 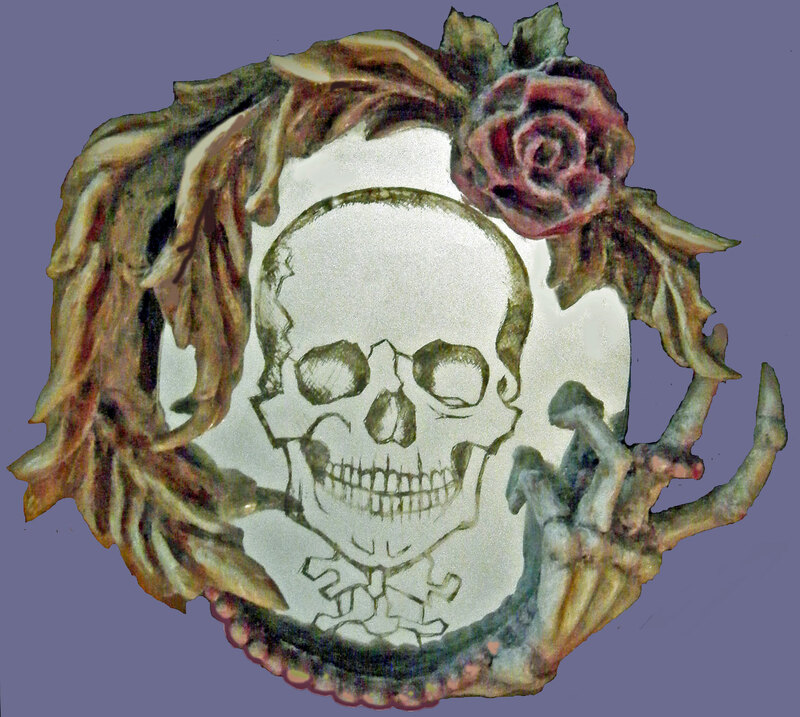 The viewer participates in the entropy process by looking into the mirror, providing the living face to the fractured skull grinning back at her: an all-in-one before-and-after picture. Not to be vain or anything, but my first Vanity was acquired by the Museum of the San Fernando Valley. In Vanity 2, you can yourself as a Catrina bedecked in a feathers and a rose with your skeletal hand wrapped in a string of pearls. Material wealth is worthless in the face of death.